By now, I think it is pretty clear that I LOVE skirts in the summer. 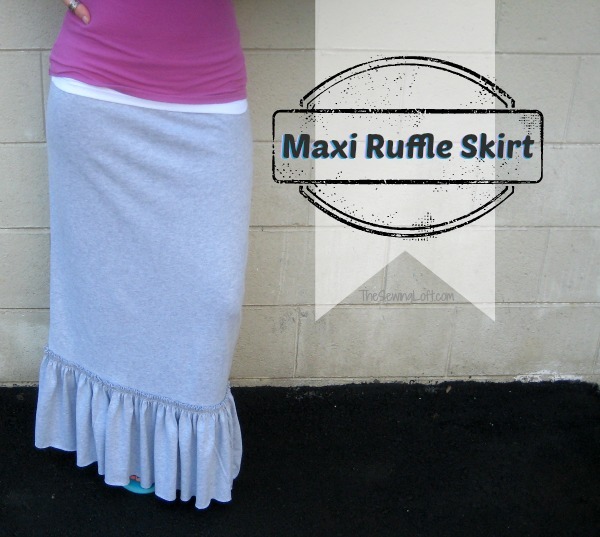 Today, I am going to show you how to create a fun maxi skirt with no pattern and this one is a breeze. 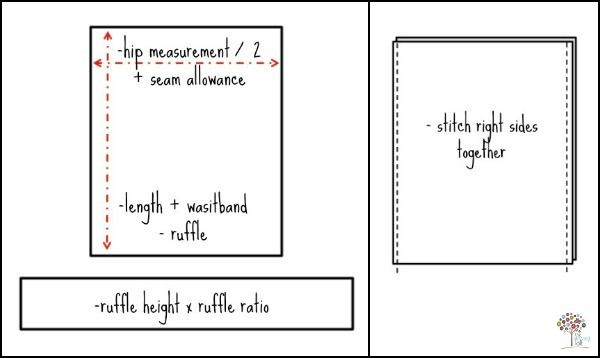 With just a few simple measurements, you will be stitching this skirt together in a flash. It is sure to become a basic staple in your wardrobe! 1. Measure your hips and follow the below image to create your pattern. Remember you are cutting 2 of the half width to create your pattern pieces. 2. Sew right sides together and stitch up long sides of rectangle. 3. Fold top edge of maxi skirt down to the wrong side and stitch 1″ from edge to create a tunnel. Insert elastic and close for an easy waistband. Wrap elastic around your waist to measure and cut to size. 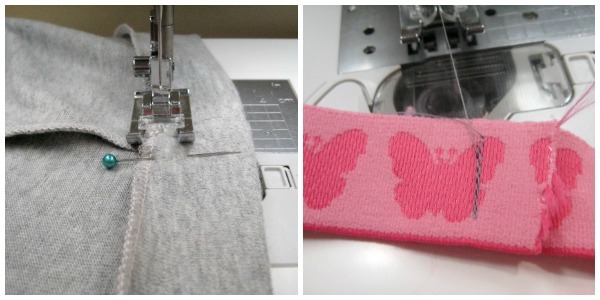 Tunnel through your waistband, stitch and close. 4. To create the ruffle, stitch right sides together to create one long continuous tube. Then set straight stitch to the longest setting. This is called a basting stitch. Leaving long tails of thread, stitch 2 rows 1/4″ apart 1/2″ below the top edge. 5. 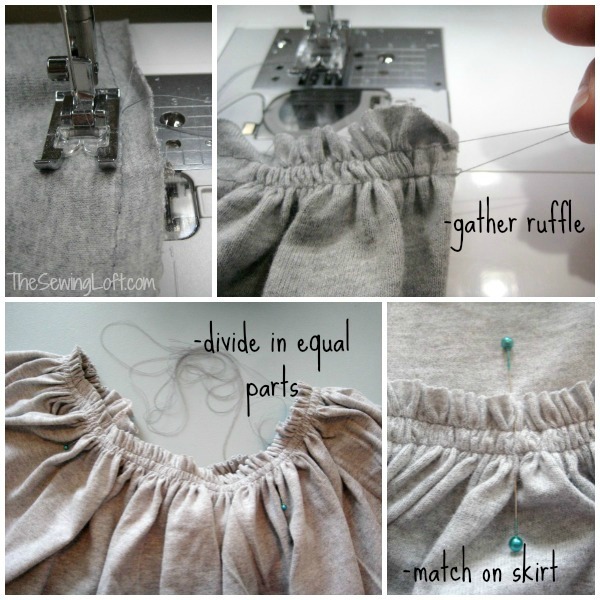 Divide your ruffle into 4 equal parts and mark with pins; repeat to the bottom of your skirt. Pull top threads of basting stitch and gently gather your ruffle, matching the pins as you go. Overlap your ruffle on the bottom edge of skirt making sure gathering is evenly spaced. Straight stitch ruffle in place. 6. Hem skirt if you like, I left my bottom edge raw. Just layer this maxi skirt with a tank top or tee shirt and you are good to go! Perfect for whatever the day brings. ps-There are many different ways to create ruffles, this simple gathering method can easily be made with any standard sewing machine. Want to make even more skirts to fill your closet? 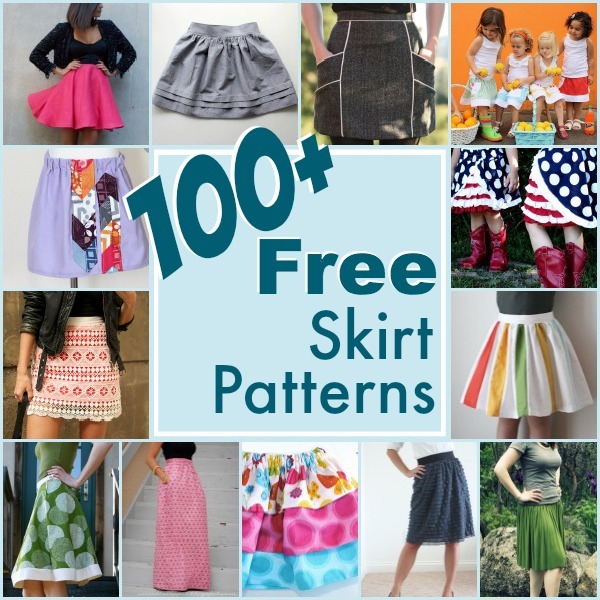 Be sure to check out this collection of over 100 free skirt patterns for you to stitch up today! If so, I’m glad you stopped by and hope that something has inspired you to keep your needle moving! Don’t miss a single project and subscribe via email HERE! Bonus- free download with newsletter sign up. Another great way to connect with me is via Facebook, Pinterest, Twitter, Google + or Follow my blog with Bloglovin. I’m looking forward to getting to know you and creating together! 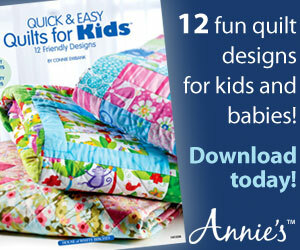 I love these easy patterns! And the best variation on this one is the cute way the ruffle edges are on the outside – gives it a nice twist. nice tutorial, i’ll use this on lace,net or georgette or any other to make it wearable for occasions too as it’s the month of ramadhan now n we get ready too for going to the mosque for our prayers n recitations.luv u for giving us all this fab tutorials for our daily life. What a lovely easy to make skirt. Can’t wait to make this. 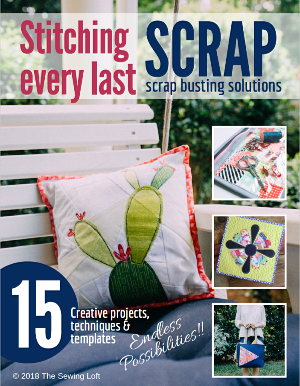 Did you use a serger to finish all the edges? I’m a beginner and haven’t used knit. Really cute skirt!! I left the hemline as the cut edge Christie but if you prefer – serge away! This is so pretty this will be great for spring! I have used this “pattern” before, but it wasn’t knit, and I couldn’t walk in it… and it had more gathering on top too… . do you think that the knit is what makes the difference? Thanks for sharing! The knit is very important to the success of this pattern. Without it you can not achieve a full stride in your step.